A preliminary design for the new Bone Student Center north plaza, and how it looks today. 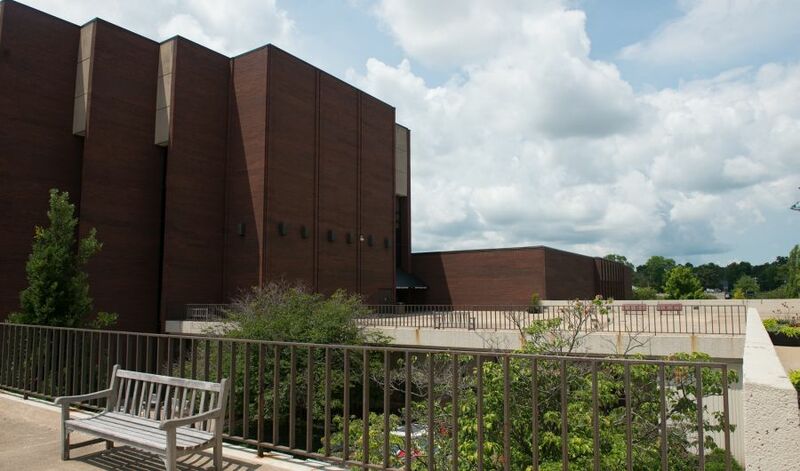 Illinois State’s “living room” is about to get an extreme makeover. 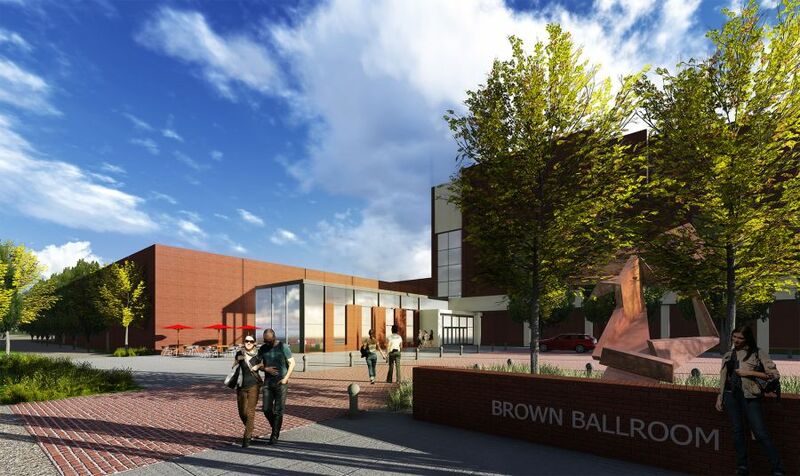 The University is moving ahead with plans for a $32.9 million renovation of the Bone Student Center, a project that will create an inviting “front door” for visitors and add new dining and hangout spaces for students. It will be the first major upgrade for the 42-year-old campus hub, which has 5,000 daily visitors and hosts more than 4,500 events each year. “The term we’ve been using is transformational,” said Michelle Paul, director of the Bone Student Center and Braden Auditorium. 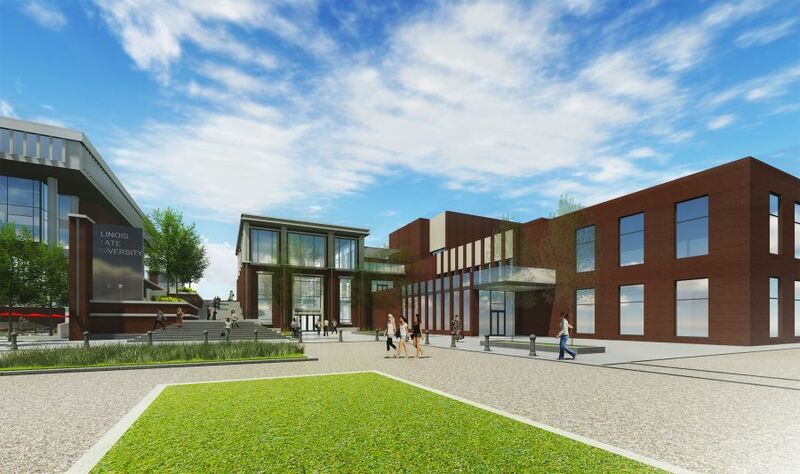 Illinois State’s Board of Trustees recently approved plans to begin construction on the first phase of the project, which will be paid for primarily with existing reserve funds. New welcome center that will be the Bone’s front door, open access to Milner Plaza, and feature an Office of Admissions presentation room that overlooks the Quad. Additional dining venues, including more “fast casual” options. Knocking out walls to create more “open concept” areas with natural light. Relocated and larger Barnes & Noble-Illinois State University Bookstore. New foyer/reception area outside the Brown Ballroom, which will now be able to host up to three separate smaller events. 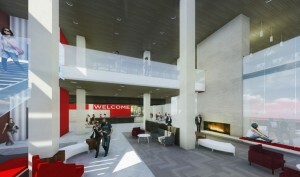 A preliminary design of the new Bone Student Center first level main entrance, with a three-story fireplace and new bookstore space visible on the right side. By adding more natural light and “open concept” seating areas, project leaders hope to create a Bone that excites and attracts the next generation of Redbirds. “We hope that by blowing out the walls and bringing in the windows and light, people will feel like it’s open and easier to make their way through the building,” said Paul. Working with Dewberry Architects and Workshop Architects, ISU’s project leaders hope to create spaces that are both “sticky” and “thick,” meaning they’ll attract and hold students while also serving many different purposes. The Bone’s outdoor courtyard, for example, is today hard to find. 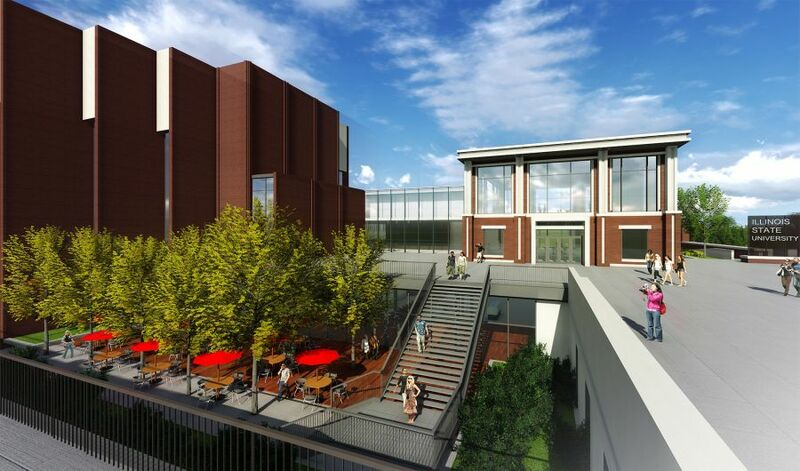 In the new Bone, it will have its own staircase down from Milner Plaza and a coffee shop just inside. It can also be a powerful recruiting tool. The welcome center’s new presentation room, on the third floor, will offer an impressive view of Illinois State’s Quad for prospective students and their families. “When people get on our campus and see the Quad, it’s a huge selling point,” Paul said. The new Bone will also improve functionality. Its catering kitchen will be moved downstairs, where most catered events take place, and a loading dock will make it easier for drivers to come and go. 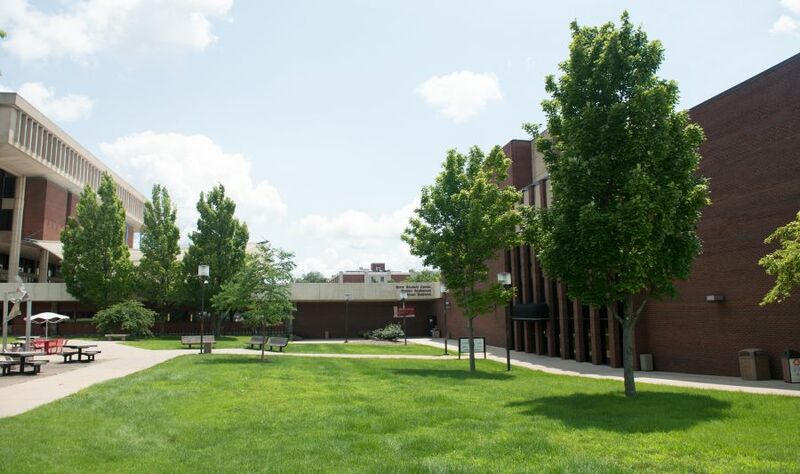 Campus Dining Services and the Dean of Students Office will be moved into new office space on the second floor, where the Barnes & Noble Bookstore is currently located. The bookstore will be moving downstairs in a larger space, with its own outside entrance—another first. Illinois State has been planning Bone renovations off and on literally for decades, but this is the first time the project has been so close to construction. 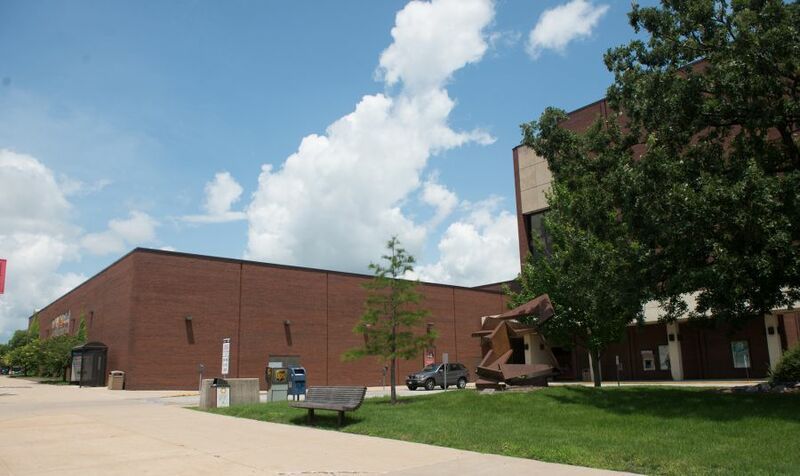 The construction timeline is hard to pin down, in part because the new dining venues haven’t been decided and because ISU staff wants to minimize disruption to students and other visitors. But if all goes as planned, groundbreaking could take place in winter 2016, Paul said. It will take years to complete. “We’re all teed up and ready to go,” said Gill. A preliminary design for the new Brown Ballroom pre-function area, and how it looks today. A preliminary design for the new south entry and courtyard, and how it looks today. So an average of 12.3 events a day take place there? I'd really like to know how they define "event." What about some more very much needed housing for freshmen and sophomores? I'd like to know where the 'Before' and 'Aftershots came from. They don't do it any justice when one hasn't been on campus in several years. Other than that, I like the new style. Just curious; did you slide arrows on each picture to get fuller view of each old and new? Yes, that is how it works. Thank you. WOW! The preliminary design photos look amazing! That will be such an improvement! So many great design choices such as the proposed wider more prominent stairway through north plaza and making all the entrances to each building actually look like entrances. I think this is a fantastic idea! I have very many great memorys of the student center from the 70's. Looks Great!! Can we assume that ALL areas of the new center will be accessible for the disabled? I've got my fingers crossed that the dining venues include the return of Dairy Queen so the next generation of students have an excuse to leave the library early for a Blizzard run!